The January transfer window is in full swing so clubs are working hard trying to strengthen their squads for the second half of the season and put deals in place for the summer. Today, the latest on Arsenal’s pursuit of Pierre-Emerick Aubameyang…. Arsenal are confident of securing a deal to sign Pierre-Emerick Aubameyang after submitting an improved offer that is closer to Borussia Dortmund’s £53m valuation, according to reports in Germany via the Daily Mail. Arsene Wenger is looking to reinforce his attacking options after losing Alexis Sanchez and Theo Walcott this month and Aubameyang has emerged as a prime target. An Arsenal delegation has been in Germany all week negotiating with Dortmund chiefs after the striker made it clear he wanted to leave the Westfalonstadion this month following a series of bust-ups. The Daily Mail claim our opening offer worth £44m was rejected but we’ve now submitted an improved bid worth £50.9m while Olivier Giroud has also been discussed in the negotiations. 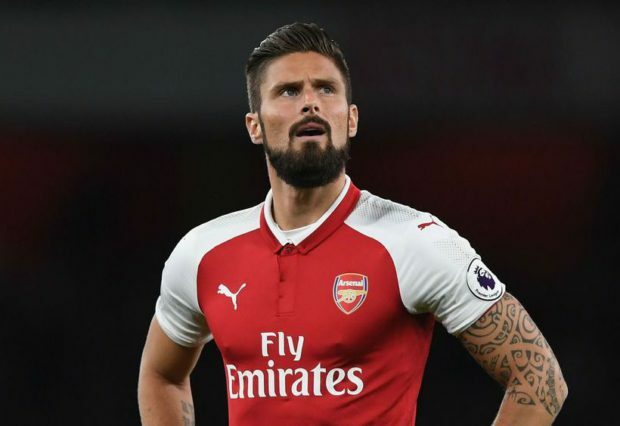 Dortmund won’t sell Aubameyang until a replacement is secured and there has been talk of Giroud heading to Germany on loan for the rest of the season as part of any deal. The Daily Mail say Arsenal are confident of getting an agreement in place over the coming days with the paper citing Bild as saying that Wenger is hoping Aubameyang will be able to make his debut against Swansea next Tuesday. The report says our latest bid is much closer to Dortmund’s £53m so on the face of it we look to be close to a deal, however, I’ve seen conflicting reports suggesting we’re still some way apart in our valuations. We’ll have to wait and see how things develop over the coming days but with less than a week to go before the transfer window closes we’re going to have to find an agreement soon or risk missing out on Aubameyang’s signature. I personally think that if the club have sent chief executive Ivan Gazidis, lawyer Huss Fahmy and head scout Sven Mislintat to Germany they won’t come back without a deal for the striker wrapped-up. Hi,I just wish Arsene would pay the asking price. How many players in the past have Arsenal lost out on. Due to Wengers PENNY PINCHING?